Tens of thousands of people, many of them women and unaccompanied children, have fled their homes and the pervasive threat of violence in Central America in recent years to seek safety in the US. But, going forward, they are unlikely to find refuge. In a decision published on Monday, US Attorney General Jeff Sessions said that claims of domestic or gang violence perpetrated by private individuals would no longer generally serve as grounds for asylum. It’s a move that is likely to hurt women the most. Sessions’ decision voided the Board of Immigration Appeals’ 2016 ruling that a Salvadoran woman, “A-B-,” who experienced domestic violence, had a valid claim to asylum. In deciding the case, the Board of Appeals referred to the precedent set by a landmark ruling made by the Board of Immigration Appeals in 2014, in which the board decided in favor of Amanda Cifuentes, a Guatemalan woman claiming asylum on the grounds of persistent, life-threatening domestic violence in a country that failed to protect her. Monday’s ruling not only overturned the precedent set by Cifuentes’ case, but it also challenges well-established international law, said Betsy Fisher, policy director of the International Refugee Assistance Project, in an interview with Global Citizen. In his decision, Sessions argues that domestic violence and gang violence are instances of violent “private behavior” perpetrated by “private actors” (individuals not affiliated with the government), and are not generally valid grounds for asylum. But by that logic, people fleeing from ISIS are not refugees because ISIS is not part of a government, Fisher said. Sessions’ argument has sparked fierce criticism from human rights groups and immigration experts who say the decision not only goes against long-held legal standards but also basic human rights. 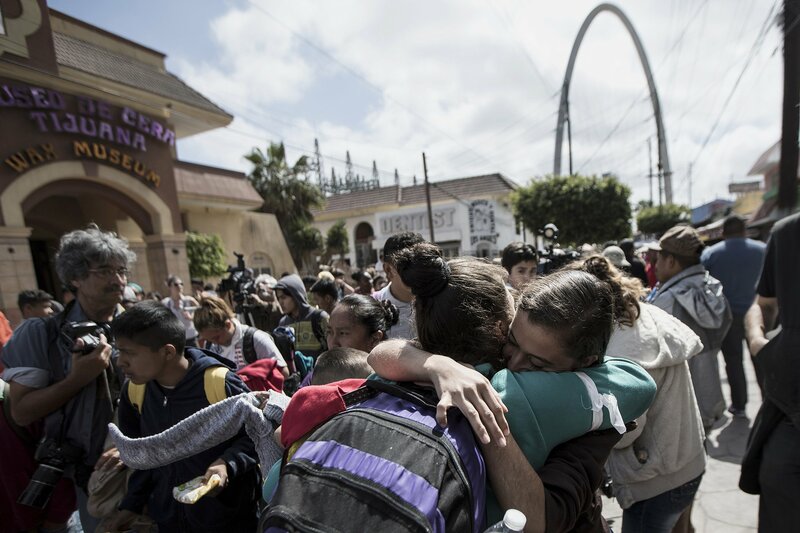 Central Americans who travel with a caravan of migrants embrace in Tijuana, Mexico, before crossing the border and requesting asylum in the United States, April 29, 2018. While it’s true that not all instances of domestic and gang violence are necessarily reasons to be granted asylum, there are a number of specific instances in which that kind of persecution can and should be considered grounds for asylum. And though there are only a small number of gang and domestic violence situations that rise to the level of persecution requiring asylum, the problem with Sessions’ decision is that it will devastate the thousands of people fall into those few categories. Rights advocates and former immigration judges have also condemned Sessions’ decision for the implications it has on women’s rights. Fisher explained that it doesn’t recognize domestic violence as societal harm. Sessions’ decision is the latest move in the Trump administration’s efforts to crack down on immigration and dissuade people from seeking asylum in the US. The administration argued that lax immigration policies have encouraged more people to seek asylum in the US, and while it’s true that the US has seen a major uptick in the number of people in Central America seeking asylum in the past few years, legal “loopholes” are not the cause. The truth is that people are fleeing to the US border in droves because Central America is experiencing record levels of violence, largely driven by gangs. And it is the widespread violence and the failure of governments to protect their citizens from that violence that makes the asylum claims of people from these countries on the grounds of domestic violence unique. Read more: What's Happening to Migrant Kids in the US? In order to be granted asylum, a person must have a “well-founded fear” of persecution on the basis of race, religion, nationality, political opinion, or “membership of a particular social group” in their country of origin, according to the UN Refugee Convention. The US has not signed the convention, though it chooses to implement much of it (the US has signed the accompanying Protocol, created years later). In Cifuentes’ case, the Board of Immigration Appeals validated her asylum claim as a member of a particular social group of “married women in Guatemala who are unable to leave their relationship.” The social group Cifuentes is considered a part of is highly specific, but represents the reality of many women in Guatemala, where violence against women is endemic and the government’s efforts to address the problem have been ineffective. 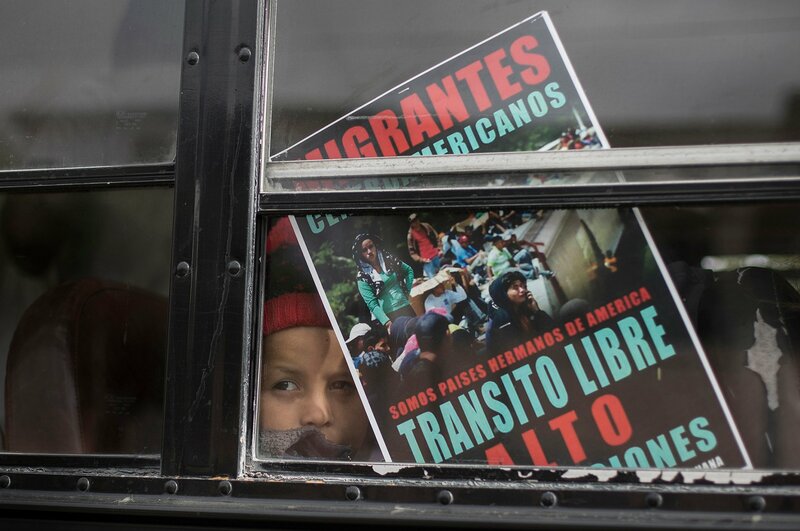 A Central American child who is traveling with a caravan of migrants, peers from a bus carrying the group to the border wall in Tijuana, Mexico, April 29, 2018. It’s not just “married women in Guatemala who are unable to leave their relationship” who make up a “particular social group” eligible for asylum. Gangs in Central America frequently target women and children, “precisely because they are women and children,” the Washington Office on Latin America, a rights advocacy group, reported. And this, US courts have ruled repeatedly, makes them a “particular social group” with a valid claim to asylum. In Central and Latin America, a stubborn culture of “machismo” and social attitudes that consider women’s lives to be less valuable than men’s have allowed gender-based violence to proliferate. In order to meet asylum claim requirements, women like Cifuentes are categorized into a very “particular social group,” but in much of Central and Latin America being a woman is reason enough to have a well-founded fear of violence. Across Central and Latin American, women are being killed simply because they are women. In Guatemala, where Cifuentes is from, two women on average are killed every day. The Central American country has one of the highest rates of femicide in the world. Honduras, El Salvador, and Mexico — where many US asylum seekers flee — also have appallingly high incidences of femicide. On Monday, Sessions told immigration judges that the asylum system was being abused through these designations. “Saying a few simple words — claiming a fear of return — is now transforming a straightforward arrest for illegal entry and immediate return into a prolonged legal process,” Sessions said. However, in reality, asylum-seekers’ claims are very specific and must meet stringent requirements. In addition to being persecuted on the grounds of race, religion, nationality, political opinion, or “membership of a particular social group,” people seeking asylum in the US must typically show that they have exhausted all other means of protection in their home countries. Victims of violence seeking refuge in the US must also be able to demonstrate their government was unable or unwilling to protect them. “If a domestic violence victim from New York fled to Canada, they probably wouldn’t be granted asylum because there is government action and a system that seeks to punish perpetrators and protect people from domestic violence in the US, even if it’s not perfect,” Fisher said. “By comparison, in many of these countries we’re talking about the government may not have these laws and law enforcement may be weak or even affiliated with criminal groups and so they aren’t providing protection," she added. Critics and human rights advocates have decried Sessions’ decision, saying that women and children, unable to take refuge in the US, will pay for the policy with their lives. The people arriving at the border fled their home countries for the US because they had nowhere left to go. Sessions’ decision will leave them there, stranded, with no options. Global Citizen campaigns in support of women’s rights and against violent discrimination. You can take action here to advocate for human rights for all.